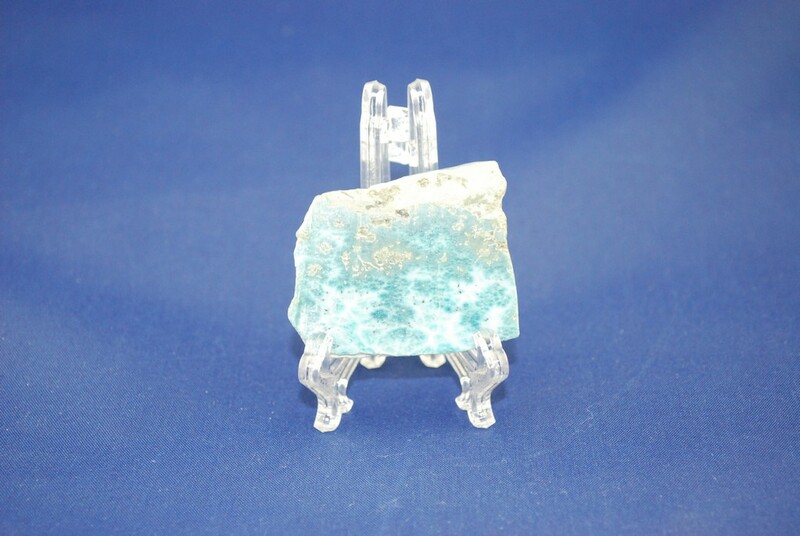 This is raw slab of larimar that has been polished on the front and back, with the edges semi-polished. 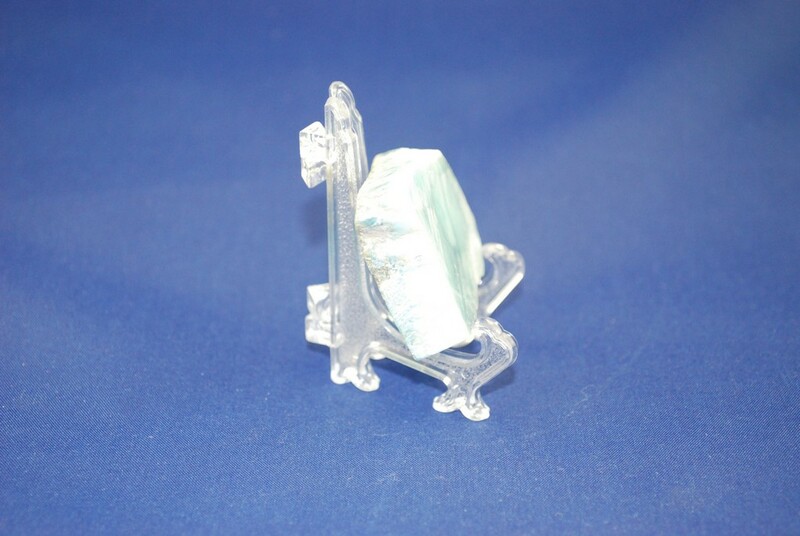 That crystal has white marks on one side from the cutting process. 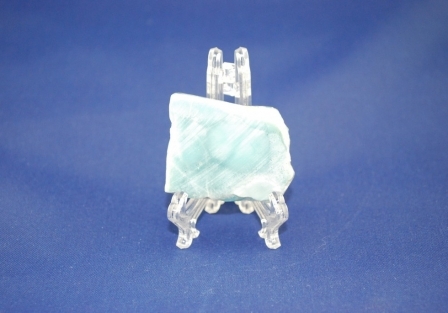 Larimar brings calmness and equilibrium. This stone connects to the energy of the Earth Goddess, healing women reattune to innate femininity and restoring connection with nature. Dissipating geopathic stress and blockages, it is excellent for earth evolution and healing.